Deputy Amos Moss was shot and killed as he, another deputy, and a federal prohibition agent, attempted to arrest a suspect near Gainesboro, in Jackson County. The officers had stopped the suspect's car and, as they approached it, were fired upon. Deputy Moss was killed at the scene and the other deputy suffered serious wounds. One of the occupants was arrested at the scene and other was arrested the following day. Deputy Moss was the father of five children. 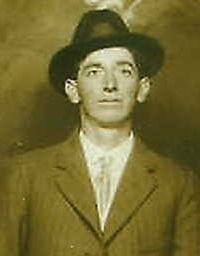 I've heard stories of my Great Great Grandfather , but my Grandfather never met his Grandfather, so I don't know how much of those stories are true.